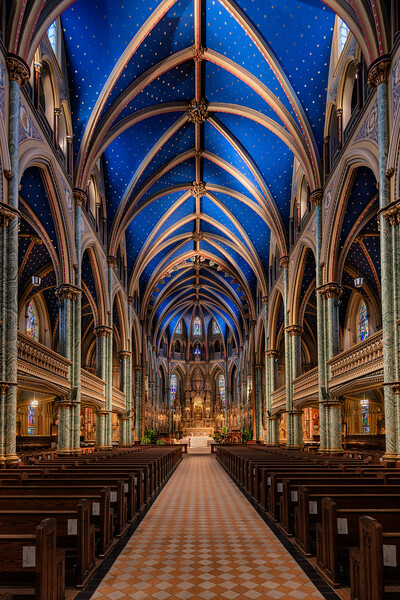 I wanted to photograph this church simply for the amazing blue ceilings, but ended up being equally impressed by all the intricate details located throughout the architecture of this building! 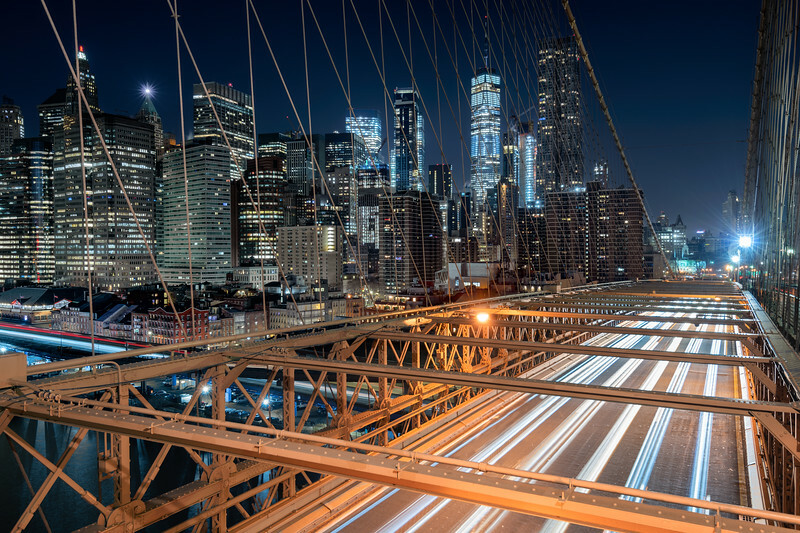 Early mornings on the Brooklyn Bridge watching the hordes migrate out of Manhattan towards Brooklyn. 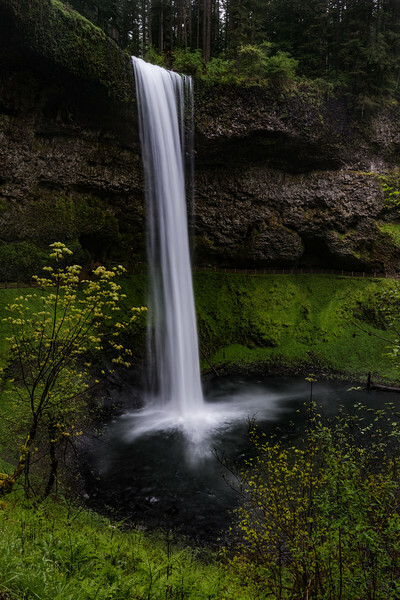 The second stop on a very soggy hike around Silver Falls State Park. 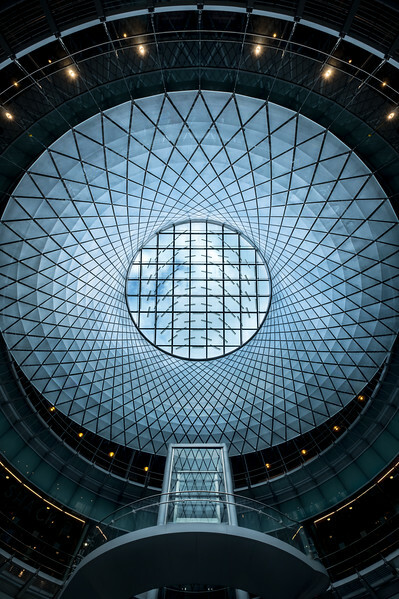 The amazing architecture and intricate detail of this iconic building in Manhattan. We spent our first night in Cinque Terre exploring the scenic trail around the rocky coast. 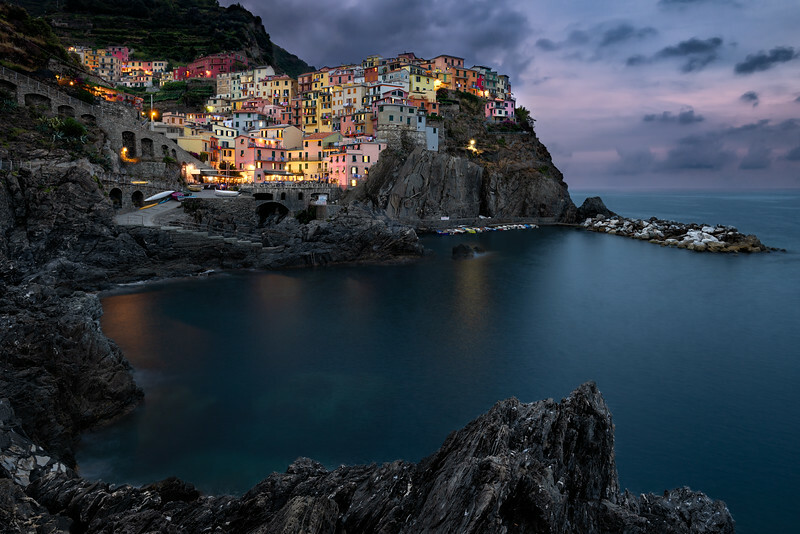 After venturing down on the rock, we set up the tripod and began capturing the last moments of light on this small seaside town. Seeing this small fishing town in so many photos, we were thrilled that our lodging was right down on the water (just beside the 2nd red building in the scene). 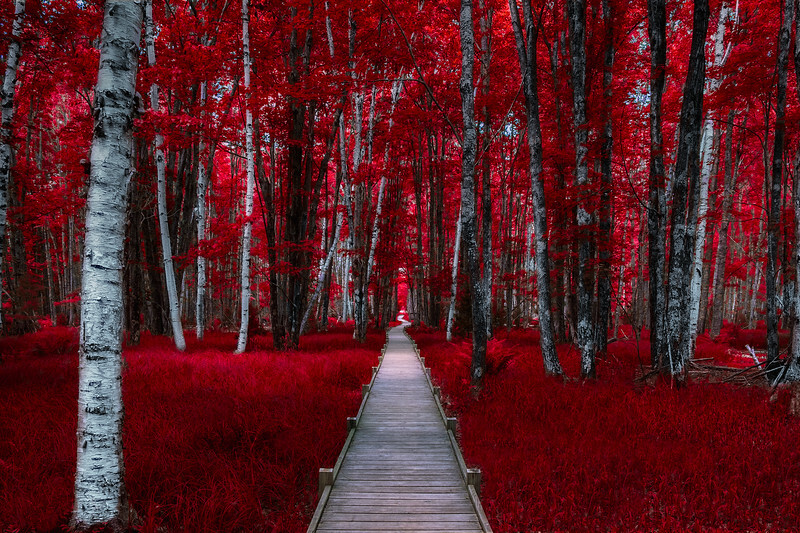 This was probably the shortest walk I had for a shot this trip, and was an amazing way to spend the morning. 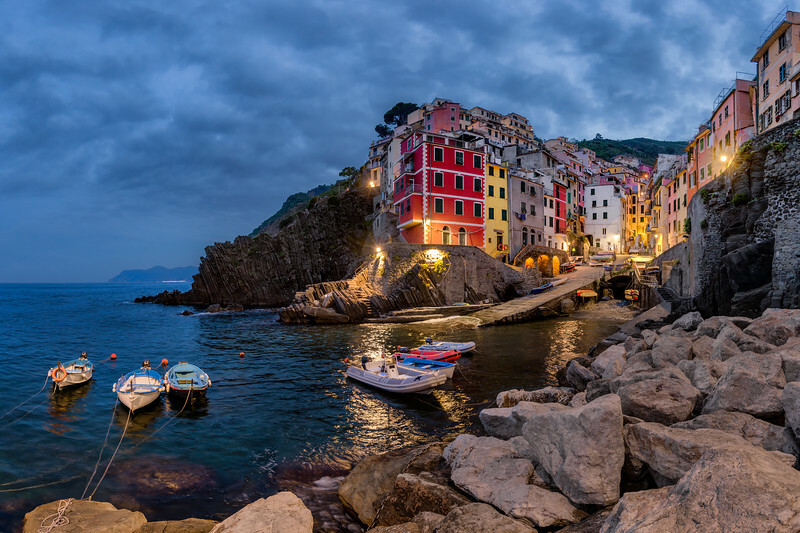 The fishing village of Vernazza sits within the Cinque Terre region of Northern Italy. We came across this popular vantage point during the hike from Corniglia earlier in the day, and with the sun setting in the West, it proved the obvious choice for our sunset location later that evening. I recently spent a week down in Oregon photographing the Columbia River Gorge, but also made sure to spend a few days in Yachats to photograph the coast and Thor's well. I returned multiple times in different conditions, times, and tides to see what this small attraction would produce. 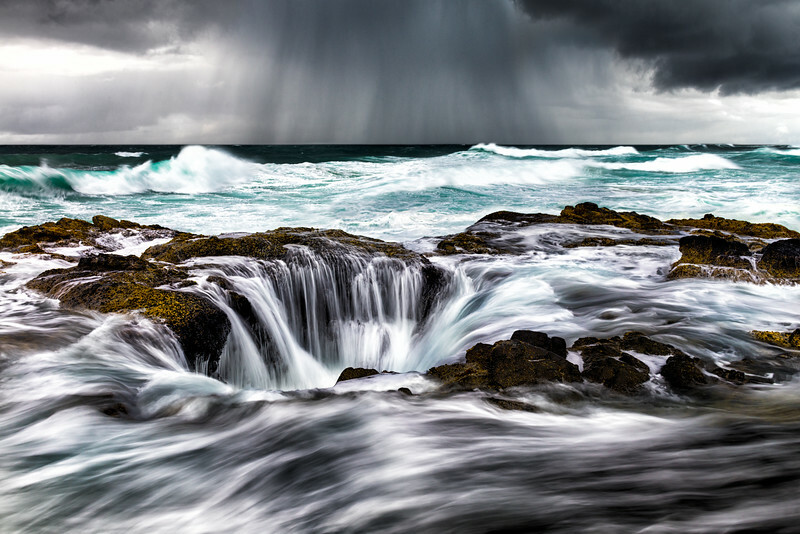 Each time, I was amazed at the raw power and sheer amount of water that travelled around the well before plunging back into the ocean. This shot was taken during high tide, but I also have a low-tide sunset shot that I look forward to sharing with you soon! 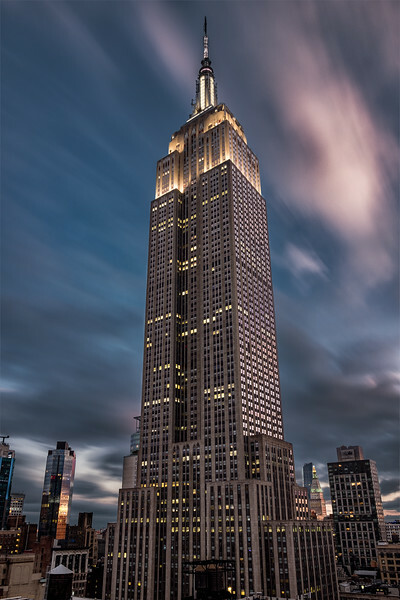 Got to take in this iconic skyscraper from the roof of our hotel during our baby moon last fall! 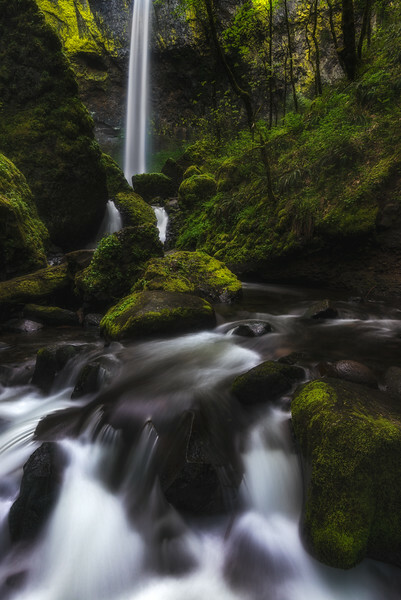 Had Elowah Falls all to myself for about an hour on this particular morning, with a lot of opportunities to scout the infinite angles available at the site. A lot of spray from the falls meant I could not get a super sharp/clear version with the walking bridge in frame, but moving further back presented some amazing compositions. This shot was taken atop one of the large boulders in the river below the falls, and was definitely tricky to get to during the spring melt. Nevertheless, it was a beautiful location! 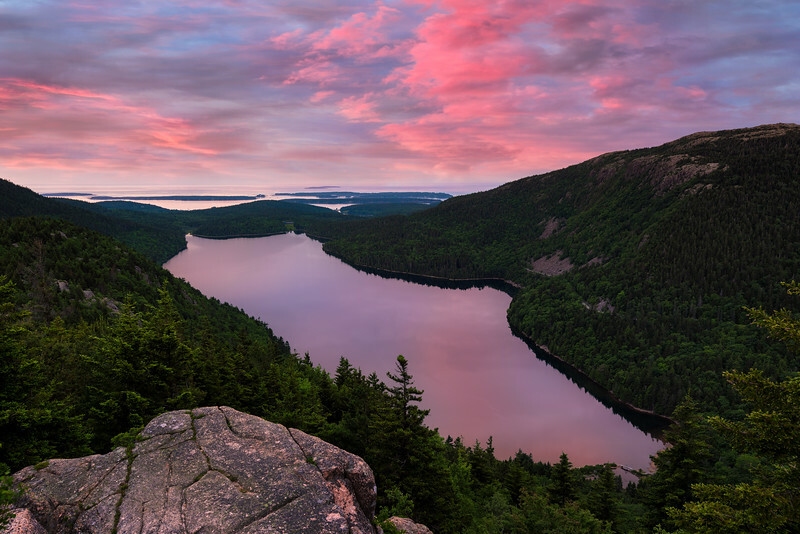 A late(r) start to the morning than I had planned meant I had to run up the trail to the North Bubble summit in time to greet the sunrise over Jordan Pond and Acadia National Park. 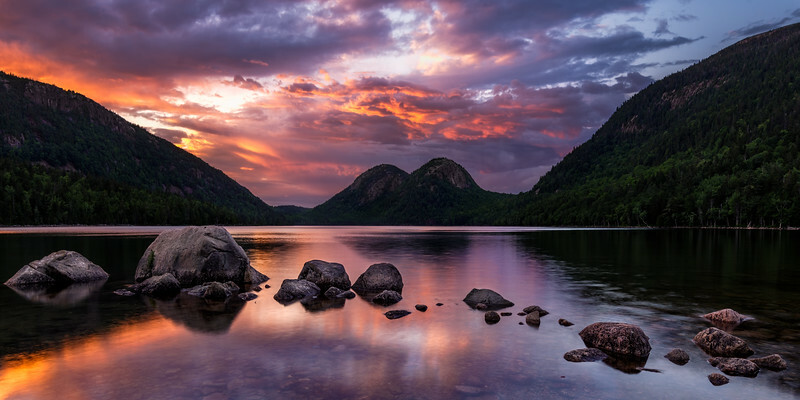 After a few minutes to catch my breath and settle into my composition, the sky lit up, casting amazing colours over the pond, and pink granite rocks. 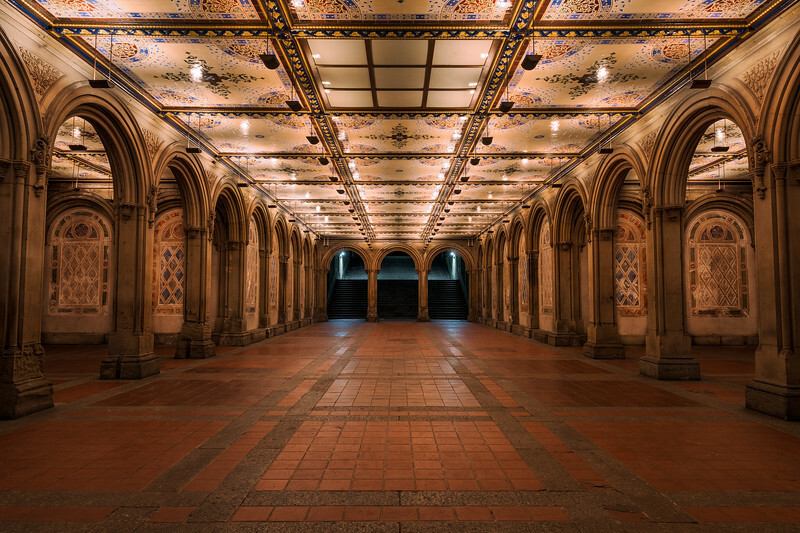 The Bethesda Terrace Arcade is a tunnel within Central Park which takes you from The Mall to the fountain at Bethesda Terrace. While venturing into the middle of the park alone at 5am may not have been the best idea, it was an incredible experience to move freely and photograph this location without worrying about crowds moving through the scene. While roaming the Carriage Roads in Acadia National Park, we ran across a local who pointed us towards the Cobblestone Bridge. It was built by creating an arched form with cobblestones being mortared into place on top. 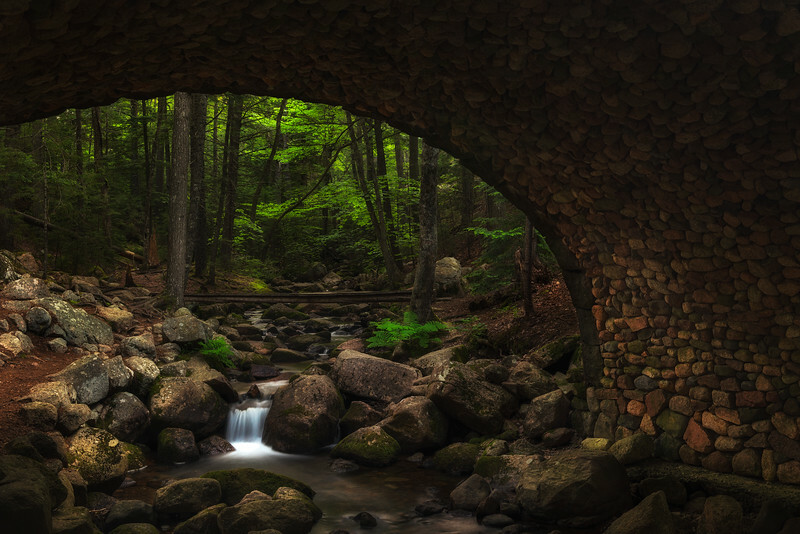 Once the arch was set, the form was removed, creating the only bridge in Acadia made from cobblestone. We followed a makeshift trail along Jordan Stream, arriving at the bridge standing tall over the scattered rock formations and quickly found this composition using the bridge to frame the lush vegetation in the forest. After finishing an amazing free walking tour of Venice, we made our way over to Ponte dell’Accademia to take in the sunset. The wooden bridge was somewhat rickety and didn’t provide much space to set up a tripod. Instead, I clamped my camera and wide-angle lens to a small piece of iron, leaving the whole setup hanging precariously over the canal below. In the end, I left with dry equipment, and a handful of images used to build the above result! 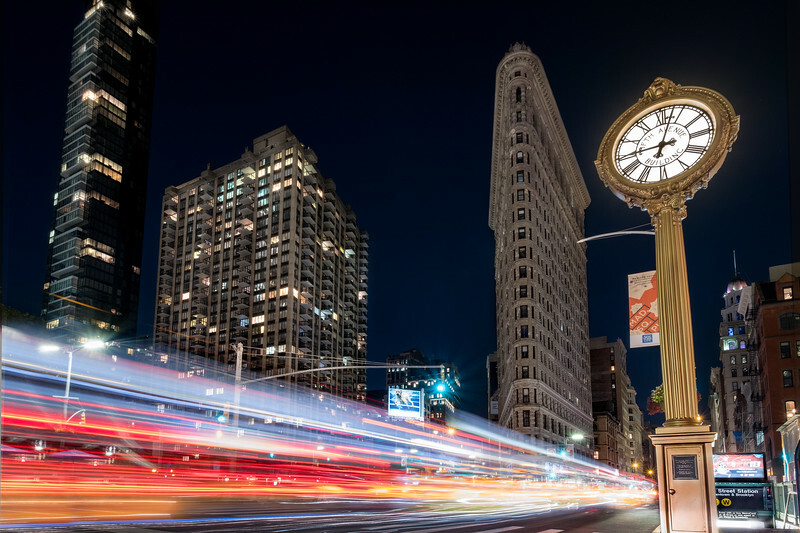 I first visited this location back in 2015 in hopes of capturing this clock with the Flatiron Building in the background. Due to construction, there was a tonne of scaffolding interfering with the composition to the point where I moved on. Fast forward to 2017, the scaffolding is gone, and a convenient plant pot that I could secure my camera to in order to get this long exposure photograph. First car in the parking lot at the Multnomah Falls Lodge that morning and was able to photograph these falls and the pedestrian bridge in total peace. Shortly after, I ran into another photographer who i'd met earlier in the week and we trekked the Multnomah-Wahkeena hike for the remainder of the morning. I was happy to hear that despite the massive wildfires in the area this past summer, that the rangers were able to save the lodge and limit the damage to this beautiful area. 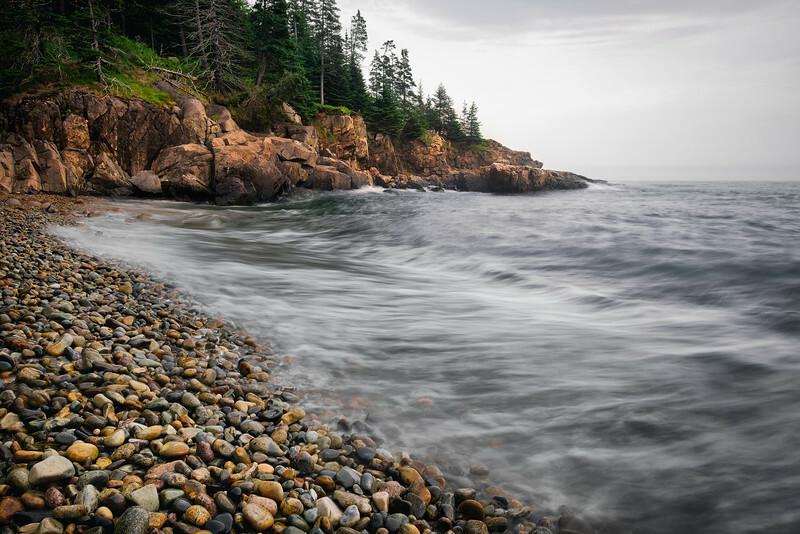 A bit of artistic license taken while processing this photo of the Jessup Trail boardwalk in Acadia National Park. The low-lying foliage, birch groves, and 400+m of boardwalk made for a short and quiet hike that afternoon. Tides played a huge role in my photography this past summer. I visited this location on the first day of our trip at a low-tide sunrise only to have 2/3 of the frame taken up by empty grey beach and seaweed. Fast forward to the end of our trip when high-tide aligned perfectly with the sunrise, which completely changed the composition of the scene. I also ran into a fellow Canadian, Ottawa-based photographer Michael Gaudet who was also working this amazing seascape location. Our first night in Rome led us to Castel Sant'Angelo and it's bridge next to the Tiber River. 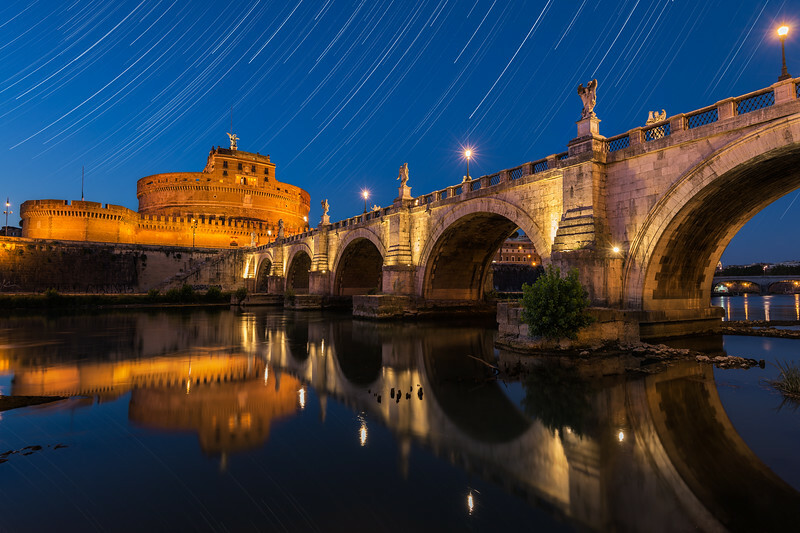 Translated to english, "Castle of the Holy Angel" and also known as the "Mausoleum of Hadrian", this fortification was built between 123-139 AD, and served numerous other roles throughout its existence including a military fortress, papal fortress, a residence, and a prison. I'm speechless after hearing about the fires in the Columbia River Gorge due to the carelessness of a few teenagers and some fireworks. I had the pleasure of visiting this lush trail back in May during the spring thaw, and the vegetation and waterfalls had an incredible effect on me. My thoughts are with the residents, and I hope that the damage will be limited and the Gorge will bounce back to its former glory. Testing out my new Fujifilm X-T2 in upstate New York. My in-laws have a cottage just down the road from this lighthouse, and was fortunate to spend some time here over the August long-weekend. Looking forward to putting the new camera to the test during some upcoming trips! 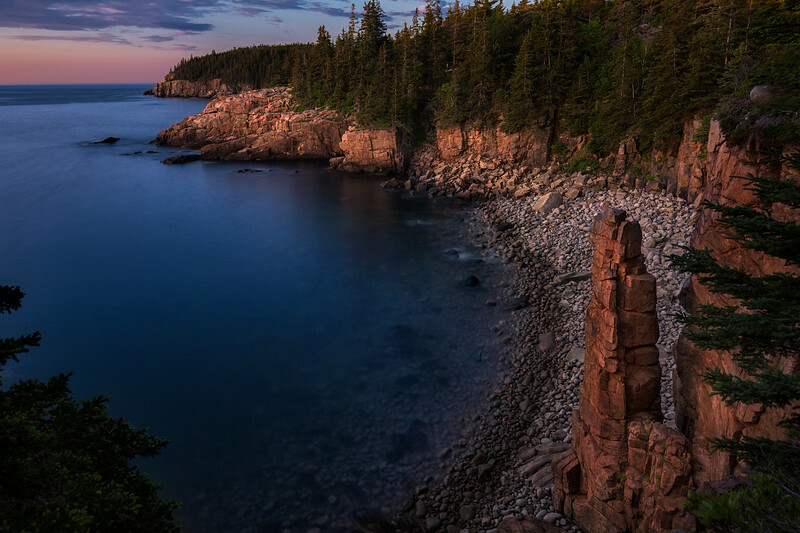 An iconic beach tucked inside Acadia National Park with views of the Otter Cliffs at sunrise. I came to this spot multiple times during our recent trip waiting for the perfect combination of cloud, light, and most importantly TIDES! High tide at sunrise was not going to occur until the tail-end of our trip, which was particularly nerve-wracking since there was no guarantee that the rest of the weather would cooperate. 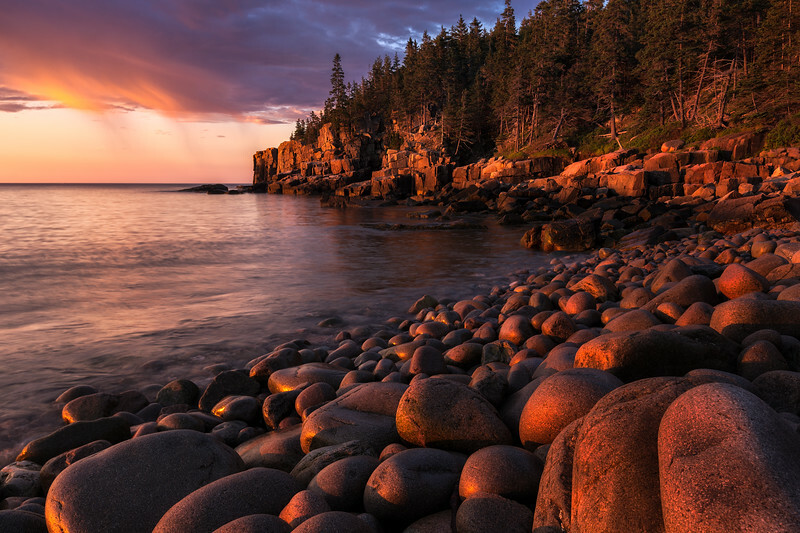 The third and last morning we were there, everything came together resulting in this image with the warm sun casting golden light over the cliffs and rounded boulders. 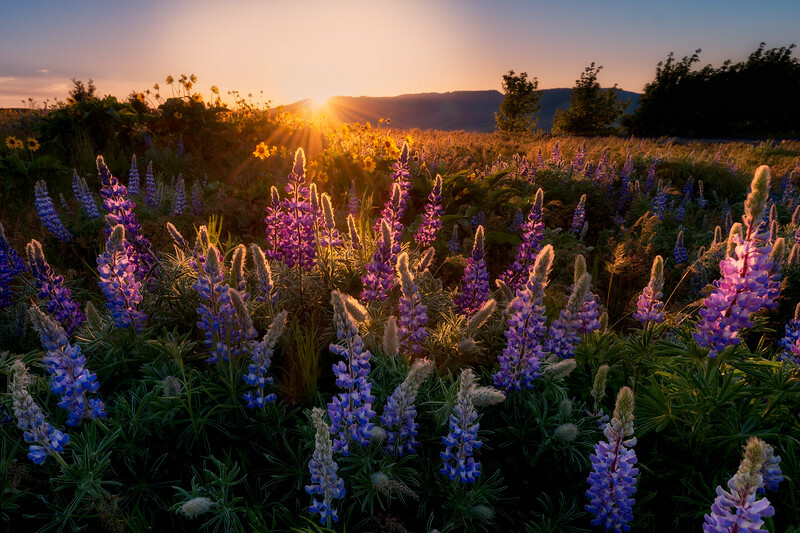 When your main shot doesn't work out, you turn around and shoot PNW wildflowers in early-May! I arrived at this location to shoot some iconic twisty roads and light trails after the sun set behind me. To my luck, a rockslide had occurred on the twisty road just past the entrance to the parking lot, preventing my shot. Trying not to waste the opportunity, I frolicked over the fields searching for a backlit composition, which you see here. 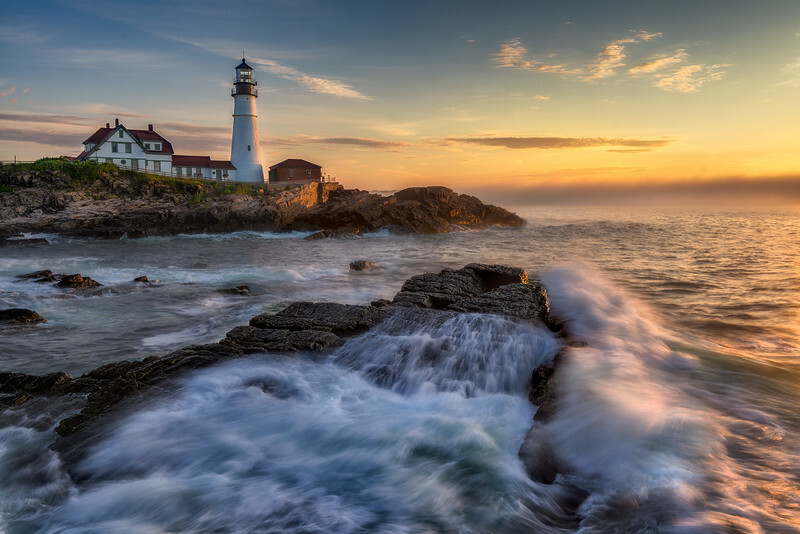 Pre-storm at the Portland Headlight. 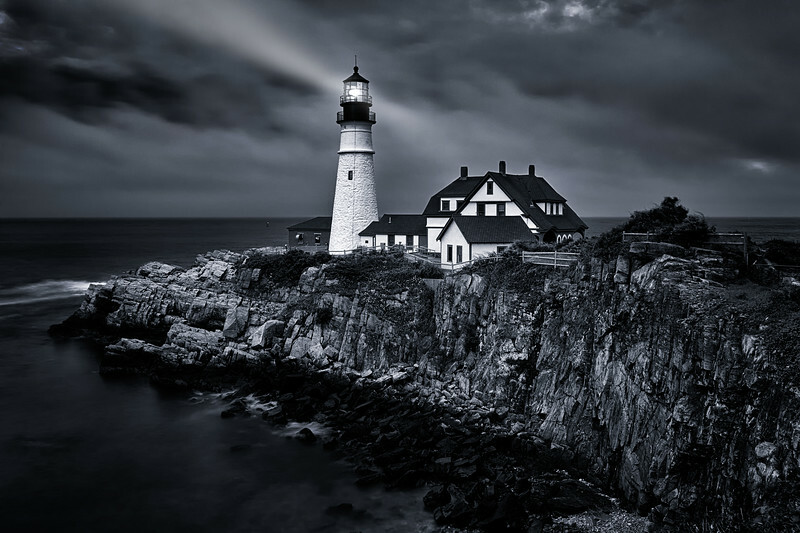 Built in 1791 under the direction of George Washington and at a cost of $1500, it is the oldest lighthouse in the state of Maine. 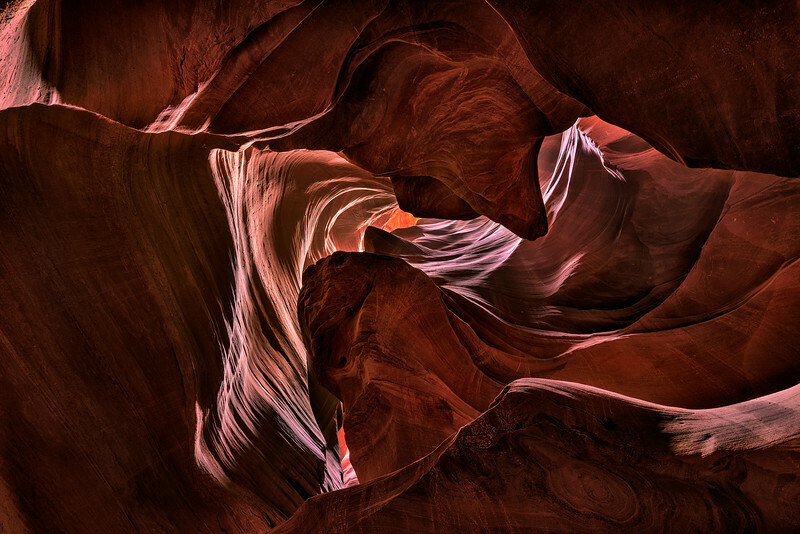 Digging through some old files from my trip to Antelope Canyon last August, and came across this. If you haven’t visited these Canyons before, the crowds are insane, and while a designated photo tour gets you an element of crowd control, looking up is another way to get some amazing shapes and textures without people. This particular shot was taken in between the “official” shoots and really struck me for its swirling/textured sandstone and monochrome colour. 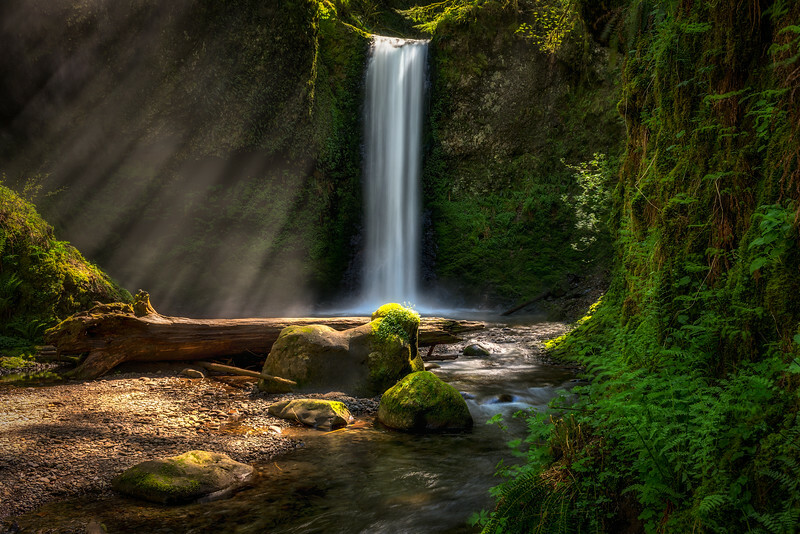 The first stop after landing in Portland was to head North into Washington State and seek out this amazing waterfall. 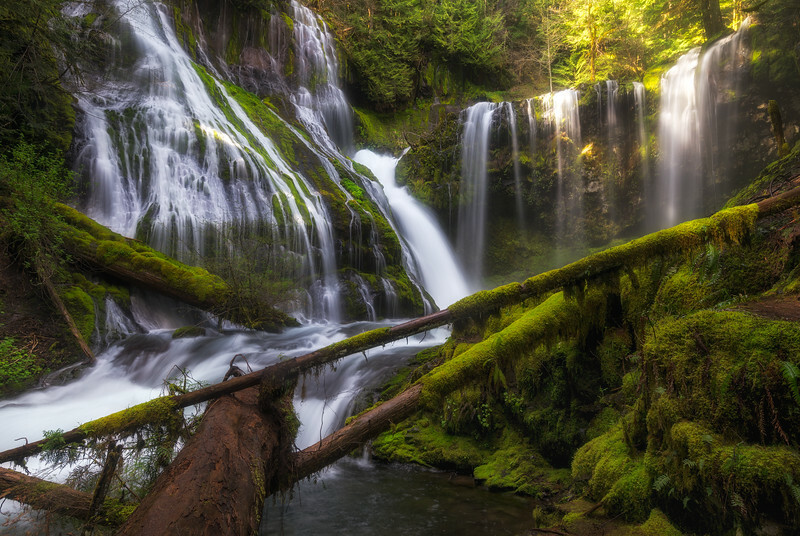 After navigating through some winding logging roads complete with downed trees and descending down the hillside holding on to a raggedy piece of paracord, I arrived at the bottom of this first set of falls along Panther Creek. 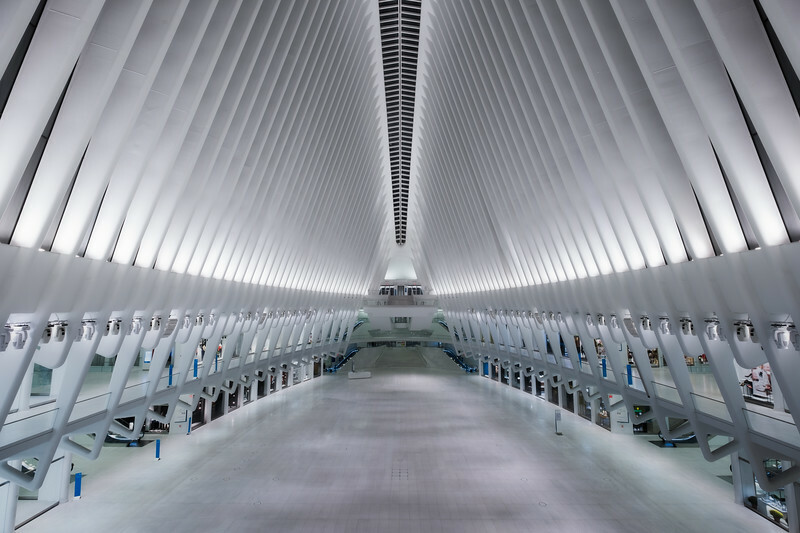 The noise in this location was incredible, and the unrelenting mist soaked through all my gear and required frequent wiping of the lens and filters. 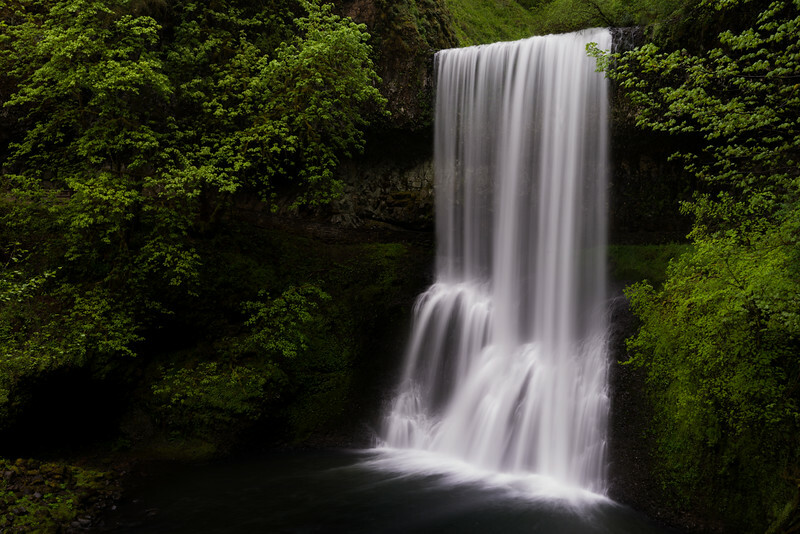 I thought the rest of the trip would be hard-pressed to compete with such an amazing first exposure to Columbia River Gorge and the Pacific Northwest, but this area continued to surprise me over and over with lush green landscapes and wispy waterfalls throughout the rest of my trip. After shooting Thor's Well at sunset, I ran (more like drove) up to the top of the Cape Perpetua lookout to take in some long exposure light trails, crashing waves, and howling winds! 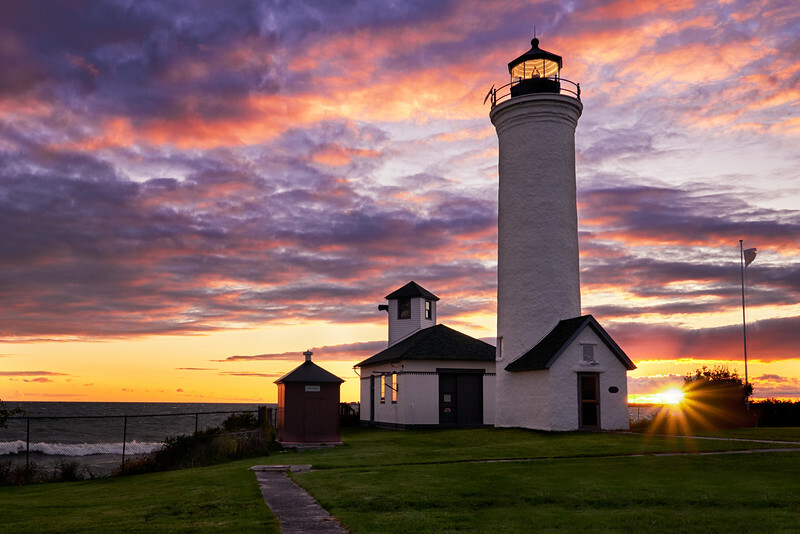 The coast of Oregon is filled with lots of rocky seascapes, turquoise blue water and some amazing wind-swept trees, standing hunched over after decades of battling the unrelenting winds out here. I can't wait to return to check out all the nooks and crevices that this beautiful state has to offer. 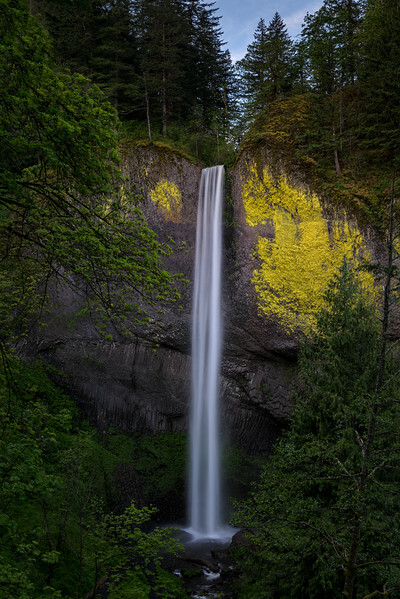 A quick roadside stop in between sunrise and my first hike, I threw the car into the parking lot of Latourell Falls and quickly ran up to the viewpoint to capture this image. Some of the best images are the ones that aren't planned and you need to seize the opportunity and react quickly to get the shots you want. This was one of those cases where minimal effort (and a little luck) paid off! 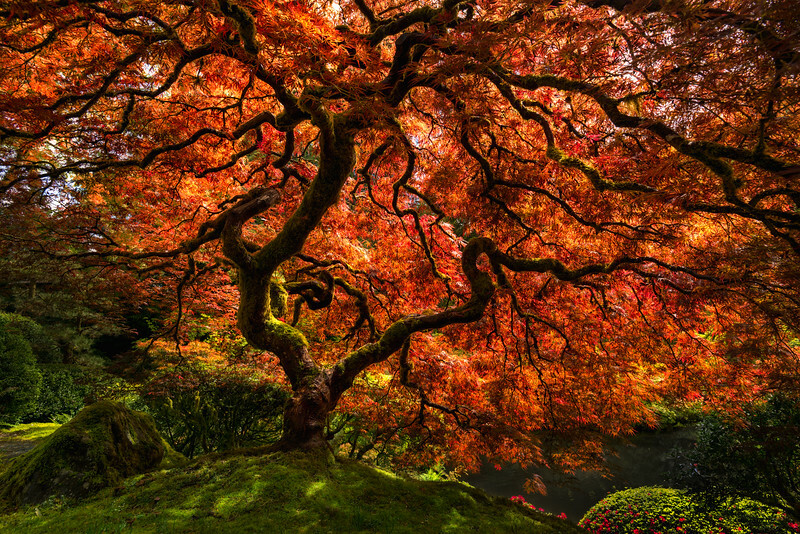 This Japanese maple tree in full bloom had the most vibrant canopy i’d ever seen, especially with all the lush greens i’d worked with so far throughout Oregon. Deceiving in size, I had walked past this a number of times in search of the “big maple”, only to realize the actual tree is maybe 5’ tall. Sticking my lens in underneath this tree yielded an amazing perspective of twisting branches, colourful leaves, and lush green moss and quickly became one of my fondest memories of this trip. 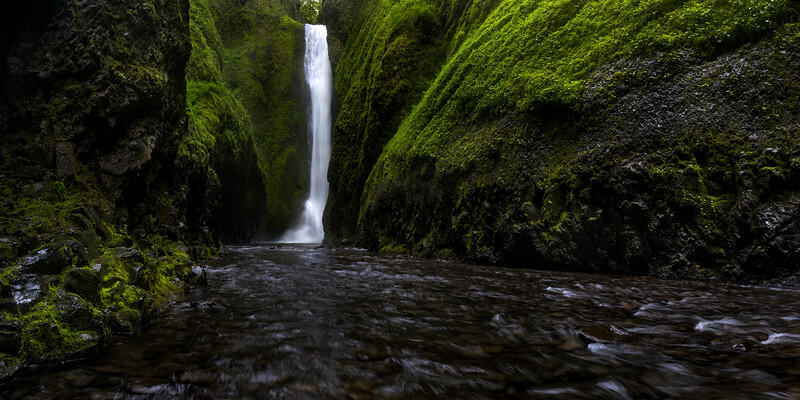 Captured deep within Oneonta Gorge, and travelling through 5*C chest-deep water for most of the hike led me to one of the most spectacular dead-ends I could ever ask for! 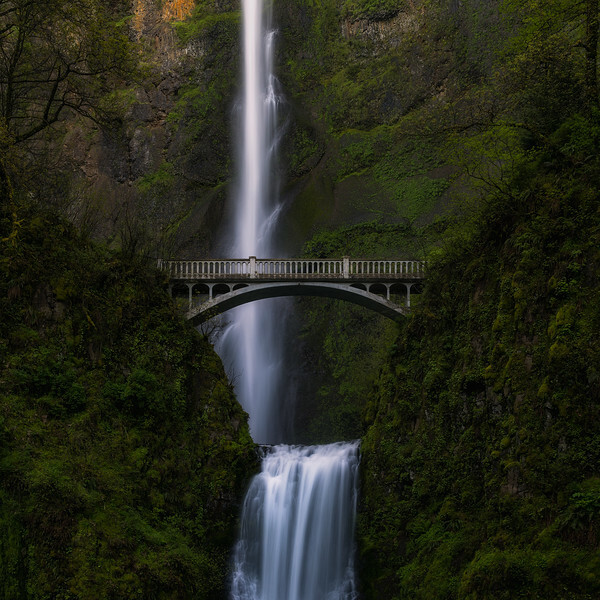 This location was the reason I chose to visit Oregon this past spring, and it (along with the numerous other areas I visited) did not disappoint! The water temps and 7am start meant I had this entire place to myself for most of the morning, and despite the thunderous roar of the cascading water within the walls of the Gorge, it was eerily peaceful and calm. A skyline shot of Toronto from (the aptly named...) Ward's Island. The brisk-cloudless night still rewarded me with some colour, even though I was thoroughly bundled up trying to escape the howling winds! End of the road for these two trains just before they re-load and head back down the line. 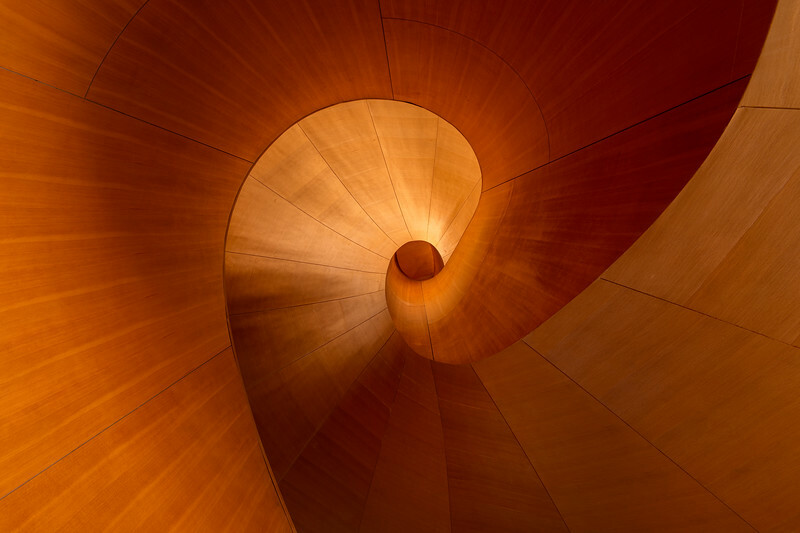 Frank Gehry’s iconic staircase extends 138 steps over Walker Court and up to the fifth floor within the Art Gallery of Ontario. The Douglas Fir-clad staircase was named after Allan Slaight and Emmanuelle Gattuso in honour of their extraordinary gift that made the re-design of the gallery possible. 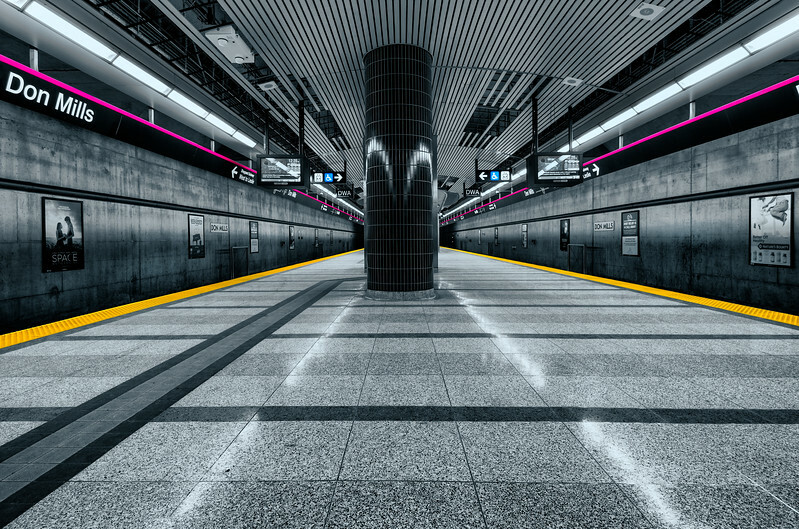 Two days spent touring the TTC underground system in Toronto back in February. Too cold outside to shoot, but just warm enough down here (with a slight breeze every now and then). 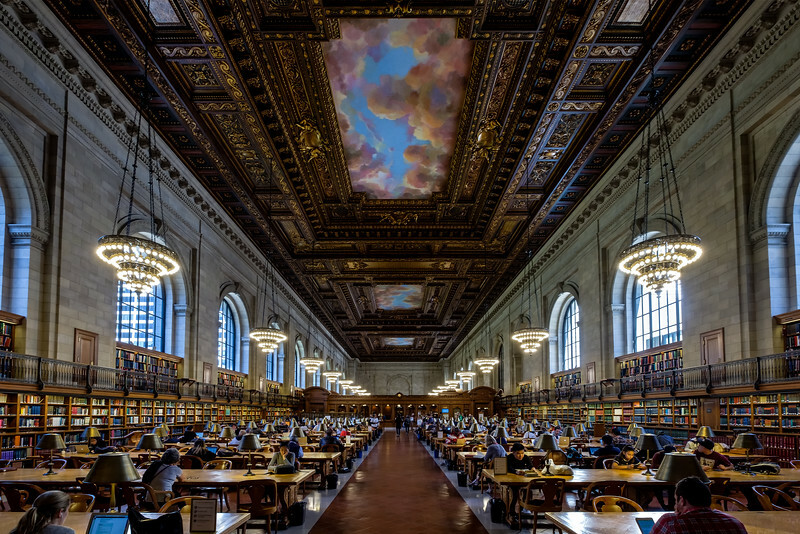 No creative photoshop or people removal in this one. 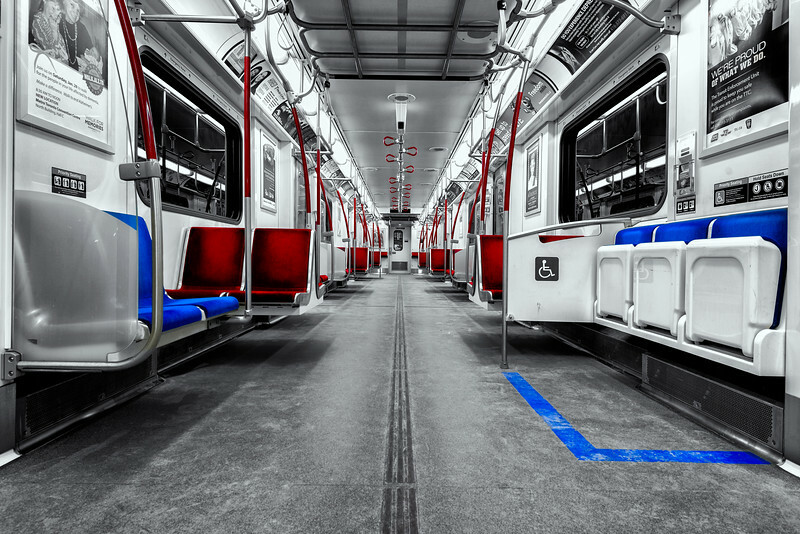 This was simply taking the subway to the end of the line and having the whole train to myself. In a few short moments, the doors will open, the people will flood back in, and the process will start all over again. 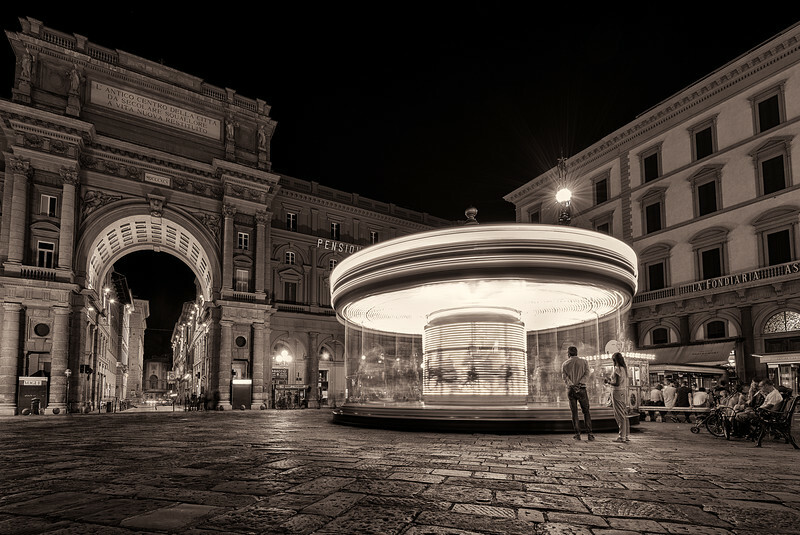 Two parents watching over their child as they ride the carousel in the heart of Firenze. 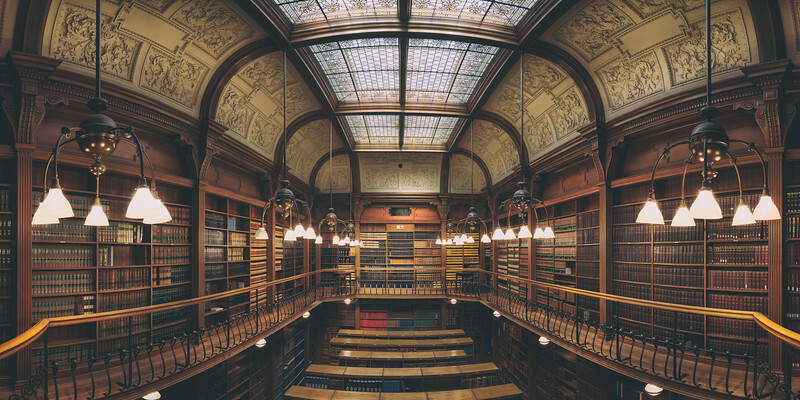 Tucked inside the library of Osgoode Hall lies The American Room. Designed by Burke and Horwood, it was completed in 1895 and features two levels joined by a narrow but amazing spiral staircase. A hidden gem in an amazing city. An early (and dark) hike up to this vantage point with fellow photographer Joe (of Joe Tennant Photography) provided an amazing opportunity to be surrounded by the towering peaks within Zion National Park, while the headlights and tail lights navigated the switchback roads in the canyon below. 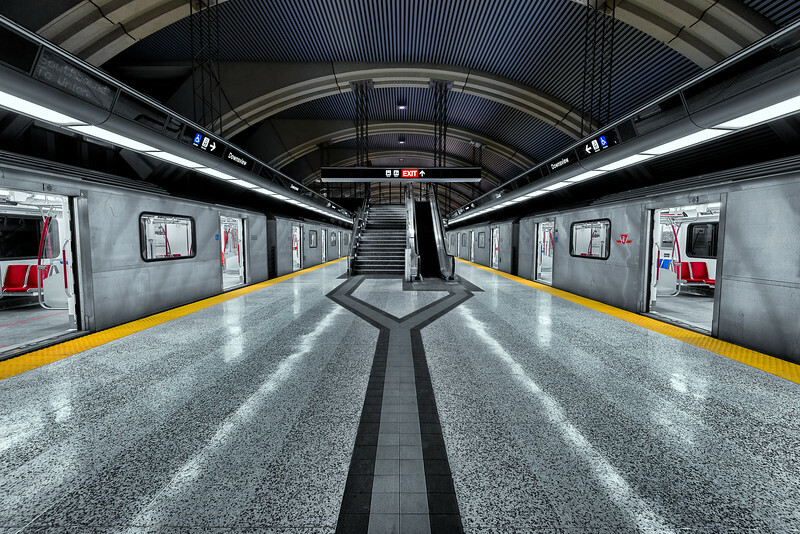 Here is a shot taken on the Toronto Subway from a quick two-day trip to the city back in February. 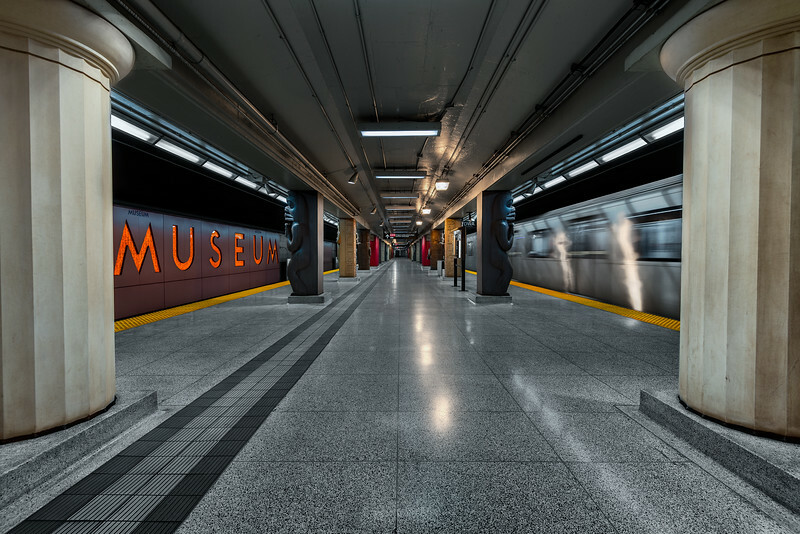 The nice warm weather outside meant I was driven underground and inside to photograph the architecture and avoid the harsh light and shadows in the scene. 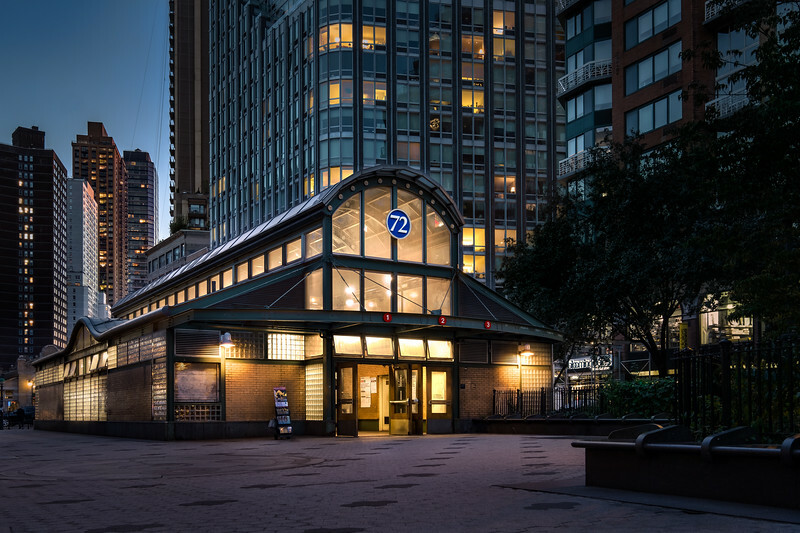 A few days of subway hopping and checking out some important landmarks proved to be a great success and I look forward to returning soon!